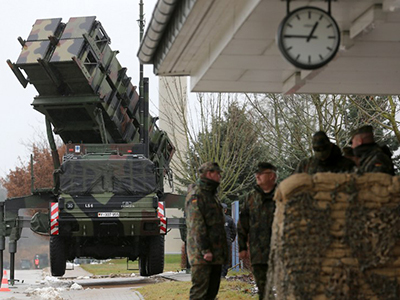 A group of 27 US troops has arrived in Turkey to operate NATO Patriot surface-to-air (SAM) missile batteries. At least six of those will be deployed along the country’s border with Syria. ­The troops arrived in the southeastern province of Gaziantep on Thursday and were taken to a local hotel by Turkish security forces, local media reported. Their first task will be to survey the sites where the Patriot missiles are to be deployed, after they are fully delivered. 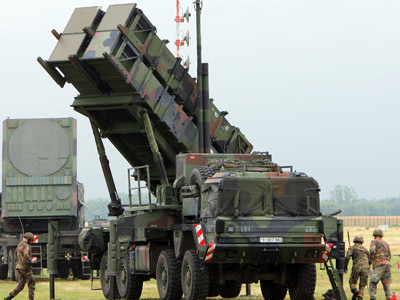 The US, Germany and the Netherlands agreed to supply the SAM systems after Turkey made the request to its NATO allies. Ankara said it needed the weapons to protect itself from a possible attack from Syria. The six Patriot batteries are to be deployed near the cities of Adana, Gaziantep and Kahramanmaras, Turkish Prime Minister Recep Tayyip Erdogan said in December. 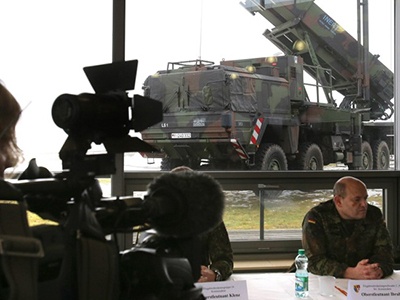 The batteries will be operated by troops of their respective countries: The US and Germany are sending about 400 troops each, while the Netherlands will have around 360 soldiers manning their Patriot SAMs. The batteries, consisting of a command post, a radar and up to eight launchers, are expected to arrive in Turkey in late January. But despite the ongoing turmoil in Syria, associate professor of Middle Eastern history and politics at Bilkent University, Jeremy Salt, has doubts whether Turkey will ever actually use the missiles. “I don’t think they’re going to be used at all. I think the situation has changed very much on the ground in Syria. It strikes me that the armed gangs are very much on the back foot now. 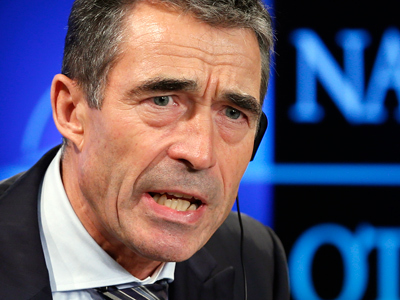 I don’t see any enthusiasm for a military attack from the United States,” he told RT. “The only circumstances in which those missiles would be used would be if there were a NATO attack initiated from Turkey into Syria. Then of course, Syria would strike back,” he said. Turkey’s southern neighbor is engulfed in an almost two-year-long armed conflict, as rebels seek to overthrow the government in Damascus. Ankara, once an ally of Syria, has turned into a vocal supporter of the opposition forces. Critics of the Patriot deployment say that they can be used to create a no-fly zone in Syria, protecting rebels from government airstrikes. A NATO-imposed no-fly zone in Libya in 2011 eventually led to the downfall of the country’s longtime leader Muammar Gaddafi.